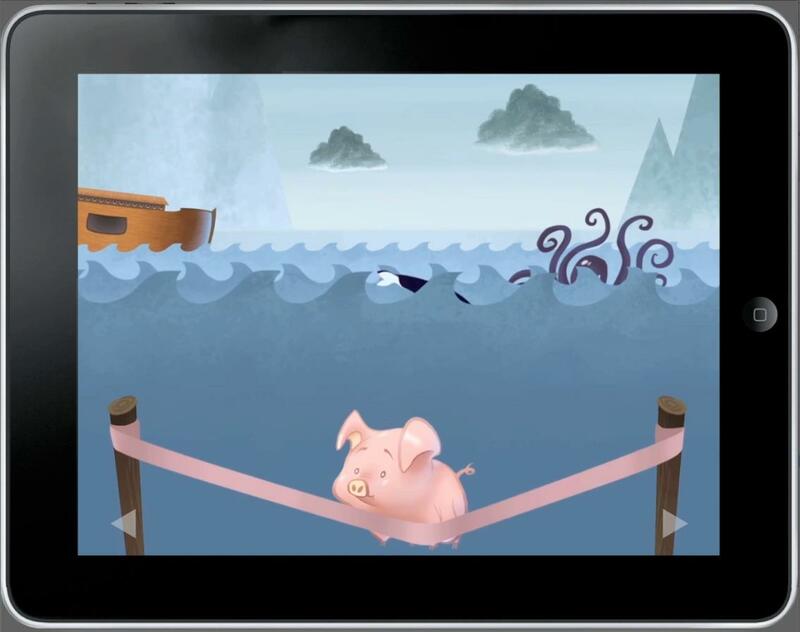 The Noah 360 App – Best Christmas Stocking Stuffer! My grandson can’t get enough of it. Kids don’t want to put it down. And I, their young, playful grandma, LOL, have so much fun playing it with them! There are plenty of great reasons to run to the iTunes store and get the irresistibly priced Noah 360 app for the iPad for only $2.99. Yes, the graphics are brilliant, but I feel like we’re playing, building skills, bonding, learning, and laughing all at the same time and I love that! One of my favorite games on Noah 360 involves launching animals into the ark. The ocean is a bit treacherous and you must learn to take great aim, wait for that perfect moment when the ark’s door is open, and send that elephant, monkey, zebra, or whatever kind of animal sailing onto the ark. You can also acquire points that will give you other fun perks to play. You can buy the Noah 360 App at the iTunes Store. Click on Noah below. 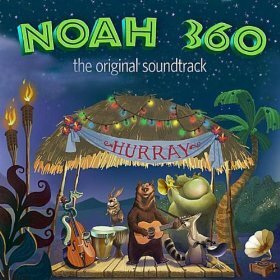 The Noah 360 soundtrack is also available on iTunes. Our little ones hear the theme song and start rocking out. It’s the funniest thing to watch. You can click on the photo to go to their page on the iTunes store. I’ve been waiting a long time for this kind of fully supported game/product for kids to learn more about Bible heroes and now I can’t wait for another one! You can also find more fun stuff: secrets, updates, and info about the app on their Facebook page. Click on the image below to go there directly. This entry was posted in App, Art, Childhood, Education, Entertainment, Family, Fun, Games, Kids, music, Nature, News, Shopping, Spiritual, Tech, Teens and tagged Adventure, animals, App, Ark, Bible, Children, Christian, Christmas, christmas stocking, entertainment, facebook, family, friend, Fun, Games, gaming, Gifts, Giving, Interactive, iPad, iTunes, Kids, music, nature, Noah 360 App, Santa, Spiritual, Stocking Stuffer, technology, Youtube. Bookmark the permalink. Hello my loved one! I wish to say that this post is amazing, great written and include almost all vital infos. I’d like to see more posts like this . I’ll make sure to bookmark it and come back to read extra of your helpful information. Thanks for the post. I’ll certainly return.